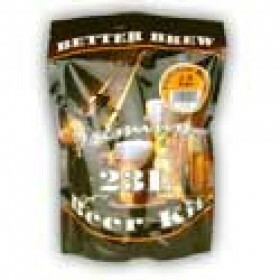 These brand new beer kits may well be the very latest innovation in Home Brew Beer Kits. Each kit is contained in a stand alone sachet. This means less waste (simply throw the packaging on the fire. 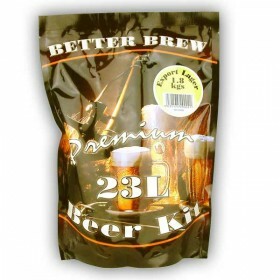 Not only that the nature of this packaging means that each kit can have a different amount of malt suitable for the style of beer. Traditional cans are restricted to the volume of the can. 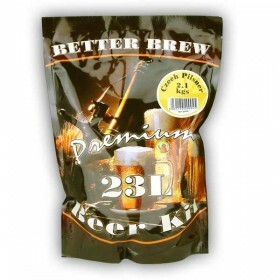 Better brew beer kits contain no colouring and each style has a yeast sachet that is suitable for the style of beer. Refreshingly hoppy Czech style pilsner. 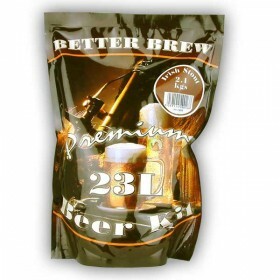 Pack size = 2.1 kg of malt. Needs 1 kg of brewing sugar. M..
A very well balanced, medium hopped classic lager. 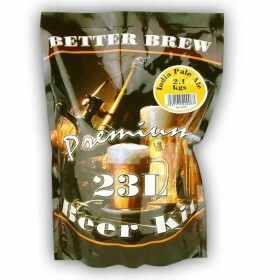 Pack size = 1.8kg of malt. 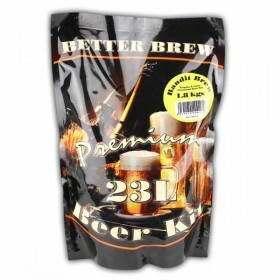 Requires 1kg of sugar..
India Pale Ale was developed to withstand the long boat journey from England to India. It contains m.. Deep brown/black colour, solid creamy head, taste of roasted malts with a touch of roasted dark choc..
Golden chestnut colour, a hint of sweetness and with a slight nutty taste and a creamy head. Pack s..